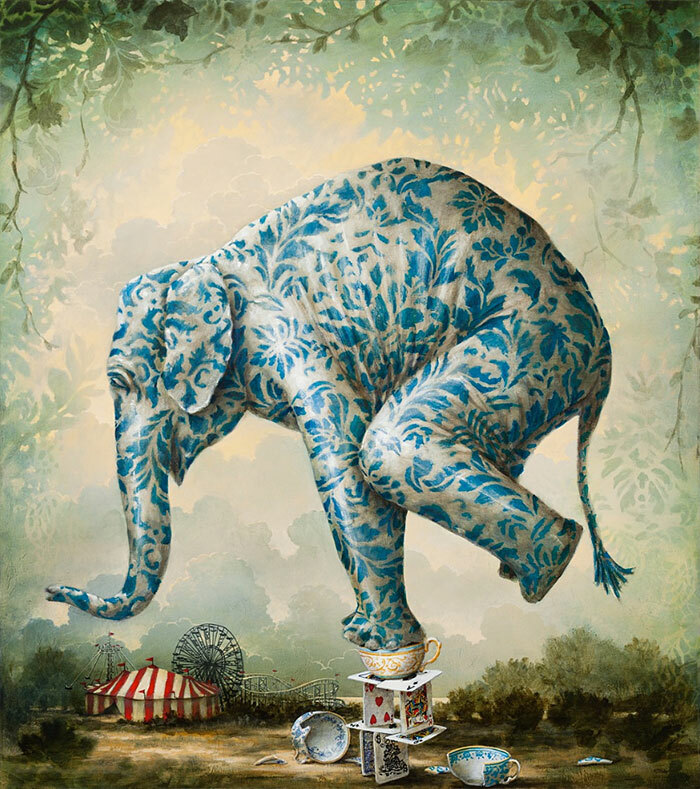 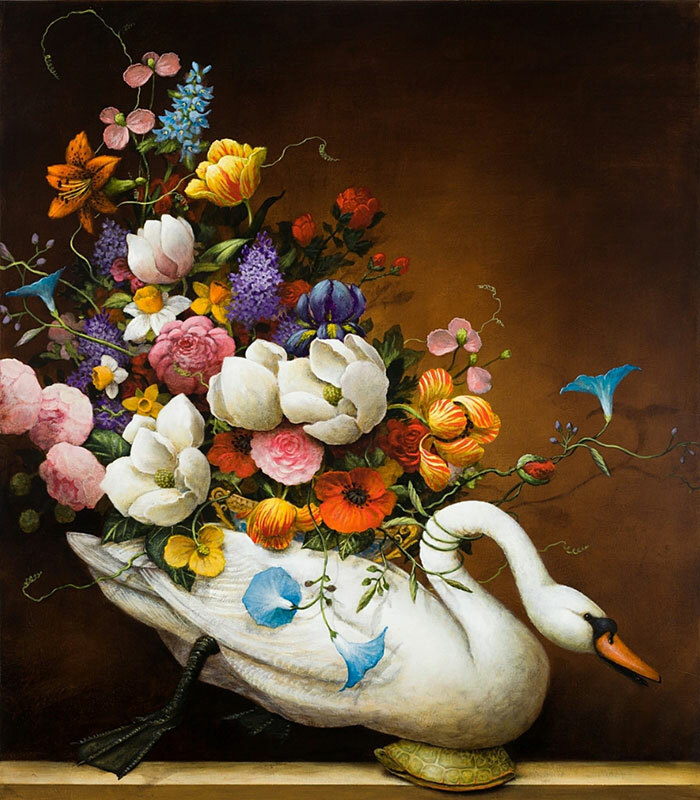 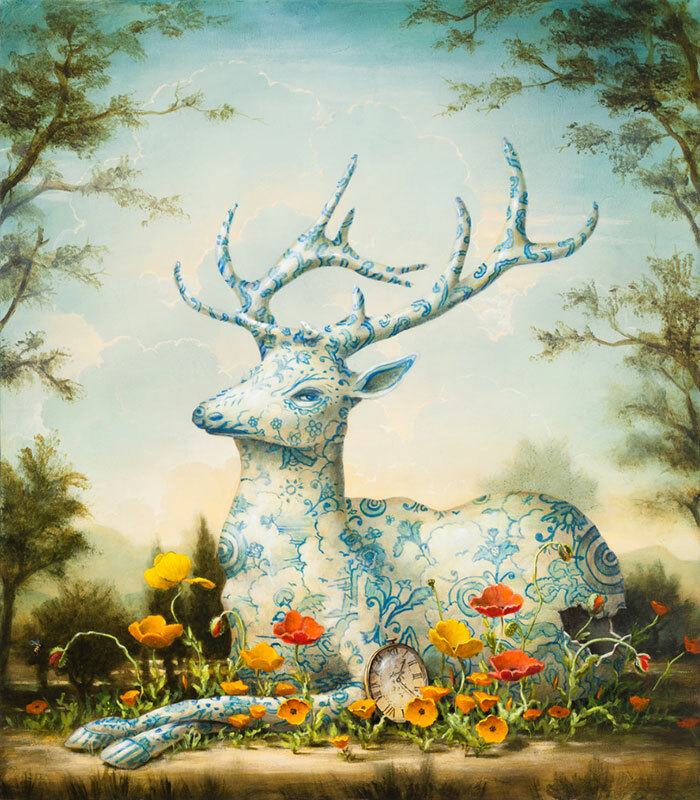 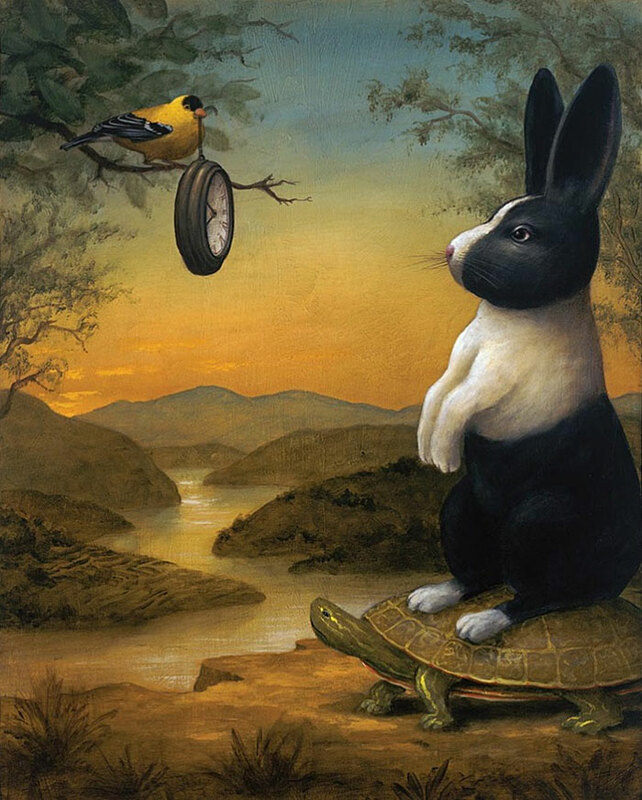 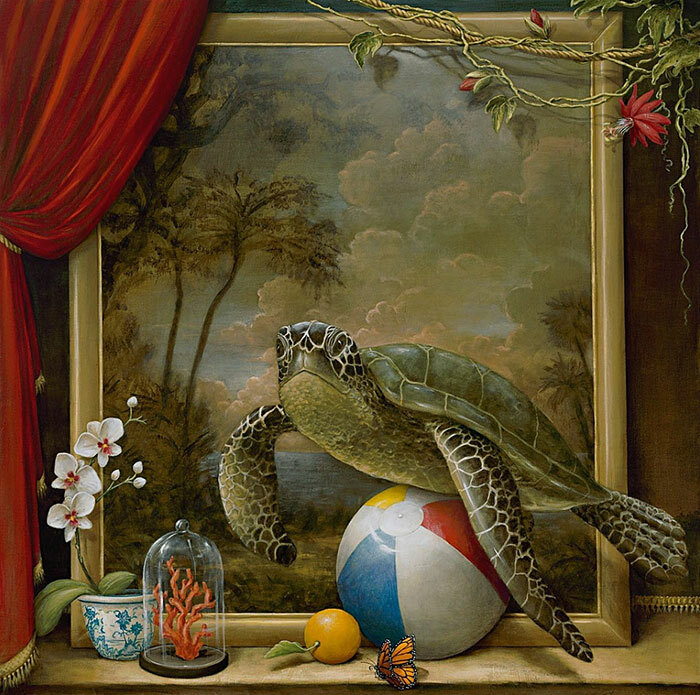 Paintings of animals interacting awkwardly with man-made objects by Denver-based artist Kevin Sloan. 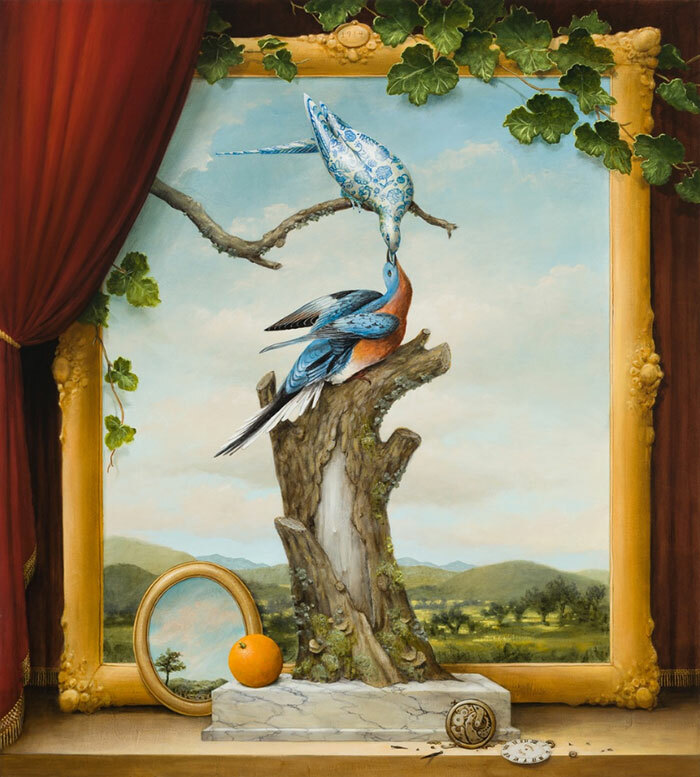 Known for his “allegorical realism,” the core of Sloan’s work is a deep concern for the animals and plants that inhabit this world. 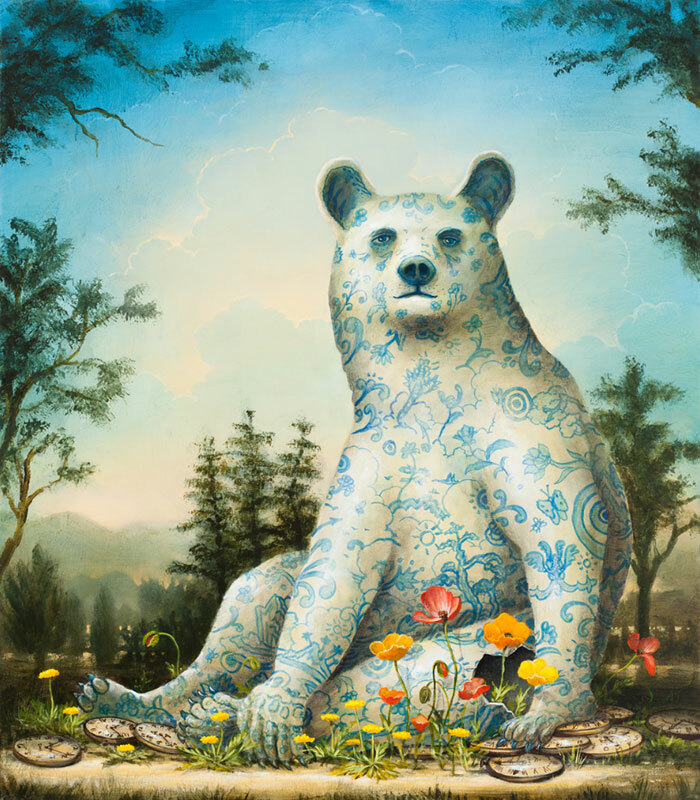 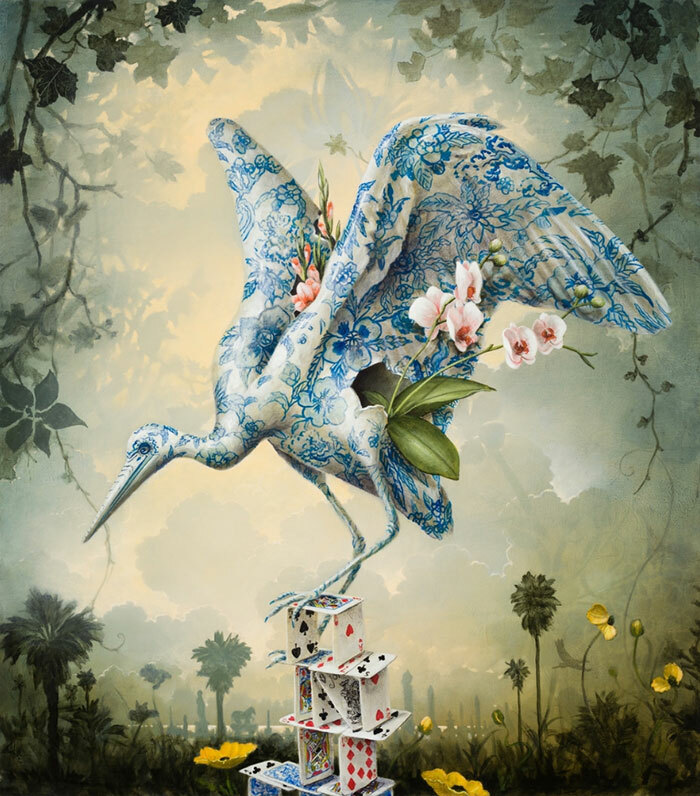 He seeks to create a compelling body of work filled with wonder and mystery, that presents images of natural balance and unexpected beauty, while simultaneously speaking about our relationship with nature in this modern, technological and quickly changing era. 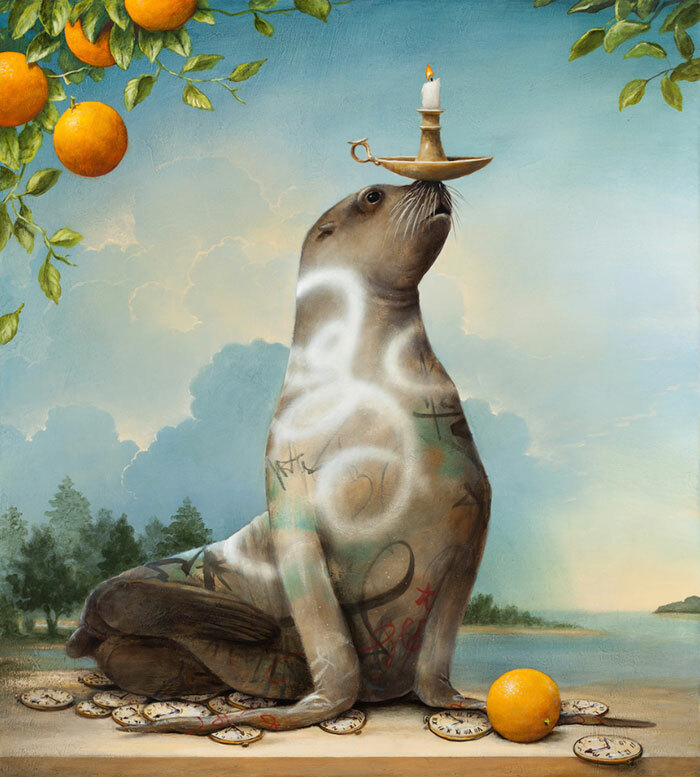 Paintings of animals interacting awkwardly with man-made objects by Denver-based artist Kevin Sloan.